The MultiScan MS 5800 Series is a tube inspection system for air conditioners, air coolers, boilers, condensers, feedwater heaters and heat exchangers. The range consists of the reliable and versatile MultiScan MS 5800 E™, MultiScan MS 5800 U™, MultiScan MS 5800 R™ tube inspection solutions. This tube inspection unit with Eddy Current Testing (ECT) is especially suitable for air conditioners, condensers, feedwater heaters and heat exchangers. This method of inspection requires zero contact to inspect nonferromagnetic tubing. ECT is ideal for detecting and sizing metal discontinuities such as erosion, corrosion, pitting, baffle cuts, wall loss, corrosion and cracks in nonferrous materials. 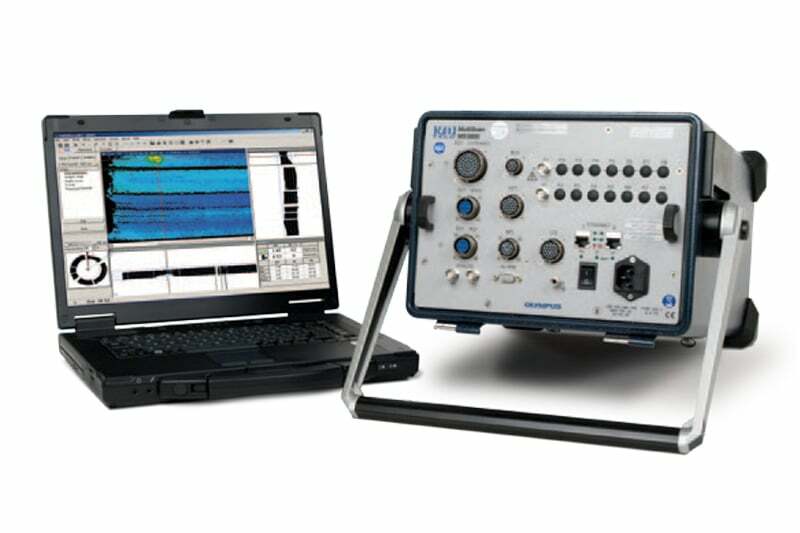 MultiScan MS 5800 E™ features four concurrent frequencies per input, that enables inspections speeds of up to 2m/s and four frequencies on absolute and differential channels – all without any signal distortion. A tube inspection method with Internal Rotating Inspection System (IRIS) that is best suited for ferrous, nonferrous and non-metallic tubing materials such as boilers, feedwater heaters, air coolers and heat exchangers. 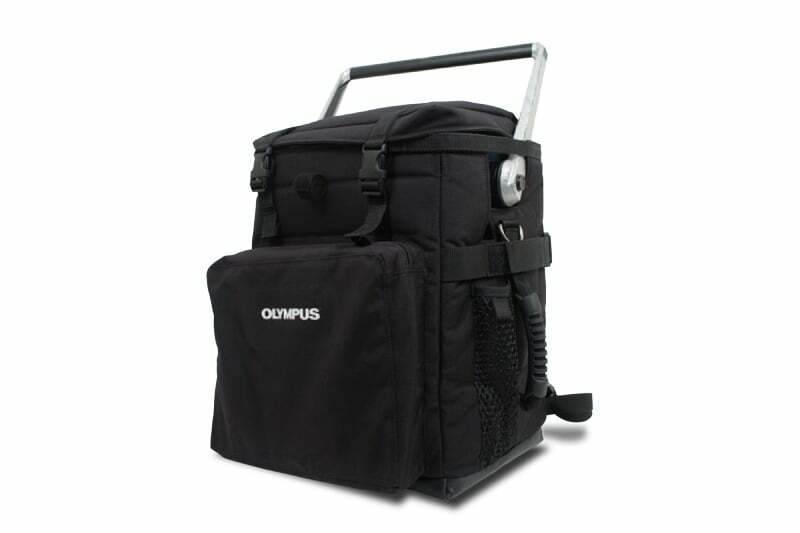 This system is fully integrated with Olympus digital IRIS inspection technology and is frequently used as a prove-up-technique for magnetic flux leakage field testing and eddy current inspections. MultiScan MS 5800 UTM can detect and measure any wall loss that is a result of erosion, corrosion, pitting, cracking, wear and baffle cuts. MultiScan MS 5800 UTM allows real-time gain and gate controls and uses full tube-length recording to analyse date offline. 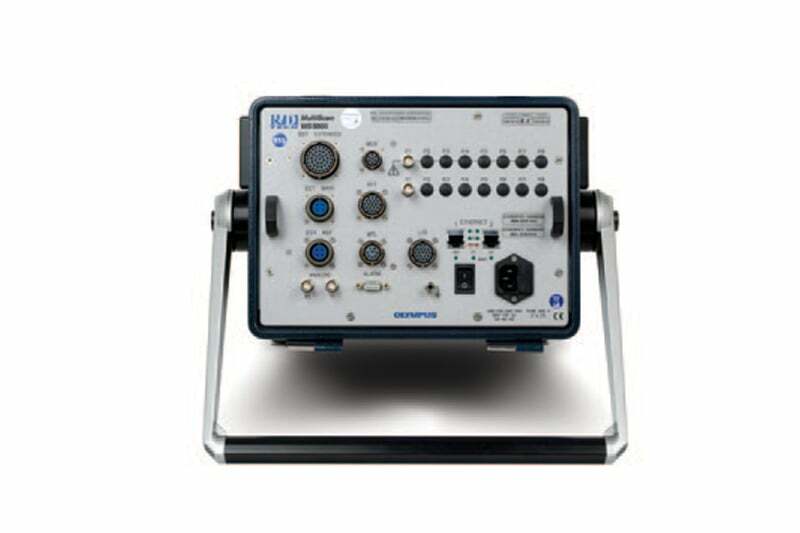 The MultiScan MS 5800 R™ utilises either tube inspection with Remote Field Testing (RFT) technology, Tube Inspection with Near Field Testing or Tube Inspection with Magnetic Flux Leakage (MFL). Remote field testing technology is commonly used to inspect ferromagnetic tubing such as ferritic stainless steel or carbon steel in applications such as boilers, feedwater heaters and carbon steel heat exchangers. RFT features up to four different frequencies and real-time mixes. This allows better flexibility for defect validation. Its frequencies range from 20HZ to 250 kHz. Tube inspection with near field testing (NFT) is an economic and fast technology which was specifically developed to inspect fin-fan carbon-steel tubing in products like air coolers and carbon steel heat exchangers. Tube inspection with magnetic flux leakage (MFL) is mainly used to examine air coolers, feedwater heaters and carbon steel heat exchangers. This is a quick inspection method and is suitable for measuring wall loss and determining sharp defects like circumferential cracks, grooving and pitting. If you’re uncertain about which product in the MultiScan MS 5800 Series will suit your tube inspection requirements best, then speak to one of our experts today. 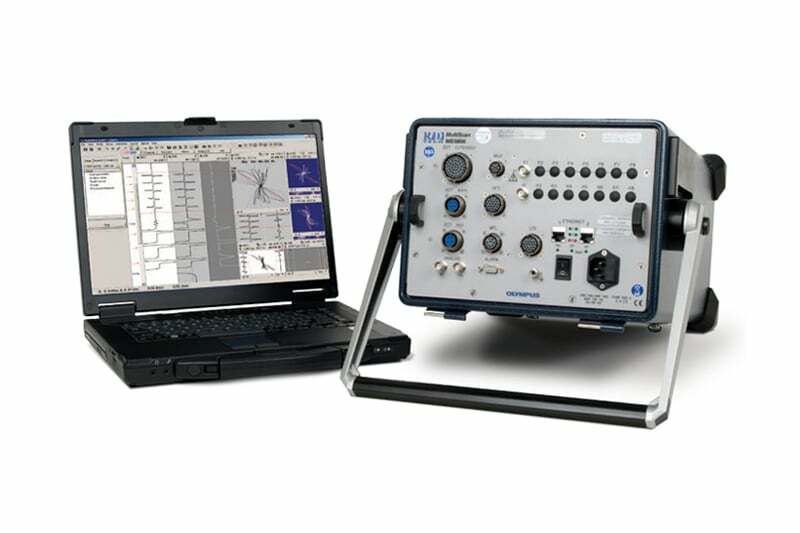 Contact us to find out more about the MultiScan MS 5800 Series or any of our other non destructive testing equipment, or request a quote online.